The current owner has owned and operated the business since 2016. 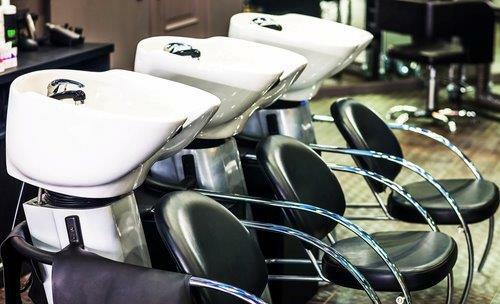 Located in a strip mall on a high traffic retail corridor, the salon features eight chairs and three washing stations. The salon is in close proximity to restaurants and other retail businesses. The salon has a reputation for high quality personal service according to various social media reviews. The salon was established in 2004. At this time there are only three of the eight chairs in use. The other five chairs can be rented to additional hair stylists. The salon has spacious, clean, and modern appearance with a comfortable waiting area. There is separate office and a utility room with a washer and dryer.